Tagline: …a fantastical ode to New York City’s glorious and horrifying past, as well as a warning to us all for its future. In the year 2040, Hurricane Diana descends on New York City. Holly Williams, an architect and immigrant from England flees to her home country, staying with her ailing stepdad in Boston, England. Her mother, who has Alzheimer’s, is living in a nursing home nearby. Holly's purpose in life, it seems, has been to design factories and offices for robotics companies while overseeing the demolition of historic New York buildings. 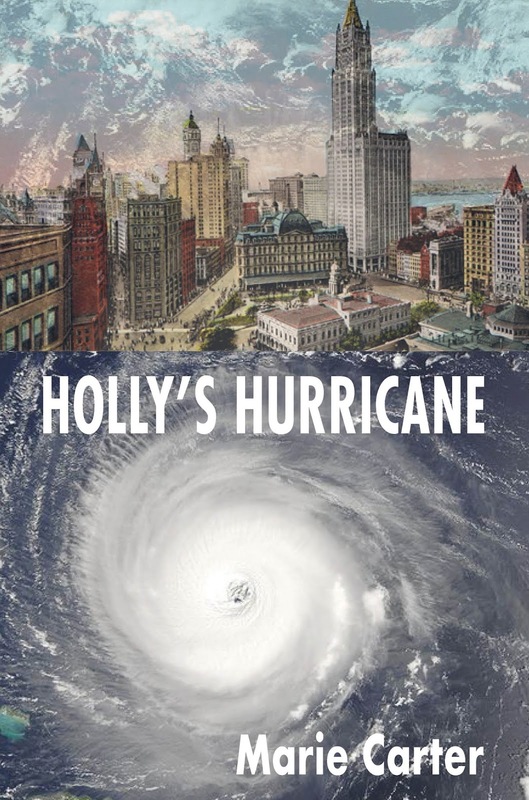 While seeking refuge from the hurricane that has destroyed New York City to the point that is barely recognizable, Holly begins to have strange hallucinations in which a mysterious stranger guides her through some of the city’s forgotten and dramatic past. One minute I am sitting with my mum in the nursing home in Boston, England. The next I was transported to the Strid, the stream that lurks about a hundred yards from the nursing home, with all the danger signs. It looks perfectly benign, but because of its deadly combination of fast currents and underwater rocks, anyone who has ever jumped in, or gone swimming in the Strid, has died. They put the first danger signs up about fifty years after the third person had gone missing, but still, about twenty years ago some troublemaker had dipped a toe in and was grabbed by the current as if by a hungry monster, angry with the daredevil for even tempting fate. I was standing by the Strid when I saw a man who looked faintly familiar, sporting pince-nez glasses, a salt and pepper thick mustache, and wearing a bowler hat. He was stylishly dressed and a little portly—in fact, I would have said he had a similar profession to mine—like an architect, except he seemed to be from another era. He took his hat off as a gesture, and I could see his hair was parted down the middle. He beckoned me to come closer and gestured for me to look into the water. The remarkable thing was, I didn’t feel unsafe. There was something fatherly about the man, something I trusted. As I drew closer and closer, I noticed a kind of whirlpool gaining more and more momentum in the Strid. The noise of the water suddenly became deafening which was a shock to me, as I couldn’t hear it earlier. And then, without warning, to my horror, the man pushed me in. I was instantly suctioned into a whirlpool but, to my amazement, I didn’t get wet. And, in spite of my age, I felt no discomfort. In fact, I felt light, and all of my daily aches and pains seemed to evaporate. I found myself in a vacuous tunnel-like interior, and I was falling like Alice down the rabbit hole, but in slow motion, as though I had developed wings. This was a relief. At my age, broken bones are harder to repair. I landed weightlessly at the bottom of the steps of an imposing building that looked like an ancient Roman temple. I could barely feel my body, and I noticed I appeared to be see-through; my hands were opaque. The Architect was right behind me, looking at me and smiling, very proper and gentlemanly. He began climbing the steps of the building like an animated fairy sprite, turning and beckoning me to follow. But I stood gaping with a goldfish mouth, entranced. The structure was reminiscent of French palaces and Italian basilicas. The gigantic granite and steel façade was supported by Roman columns. The Architect bounced impatiently on the steps calling to me, “Ms. Williams,” and becoming afraid I might lose my guide, I began climbing to the top, punctuating each stair with a heavy footstep. I felt like a Roman goddess. Staring at the grandiose clock above me, I noted it was four in the afternoon. Entering the gargantuan doors, I could hear crackly announcements being made over a PA system for what seemed to be the names of places and times. Commuters in stylish heels clicked past me. “May I offer you a tour?” the Architect asked, presenting his elbow, his manners at once charming and archaic. He even wore elbow patches. “No one can see you,” he said, as if reading my mind. “Are we ghosts?” I asked him, but he scoffed at my remark. Was this it for me? Had I died? “Where are we?” I pressed. “What is this place?” It felt at once familiar and foreign. I gasped. I had read about Old Penn Station when I was studying for my Masters at university many years ago. I hadn’t thought about it in such a long time. We commenced walking at a regal pace. “Penn Station, New York, New York, was born in 1910 and died in 1963,” the man began. On the interior, we were greeted by Italian-style shopping arcades with drugstores, clothing boutiques, and elegant restaurants, separated by columns of creamy, smooth travertine marble. There were two statues of important-looking men who were dwarfing the travelers; one was carrying blueprints. “Not a lot of New Yorkers know or remember the original Penn Station,” the Architect said, smiling wistfully. “It was quite glorious, as you can see.” He gestured with his arm for me to drink in the splendor of Penn Station and I did. The walls were 150 feet high, I calculated, as I craned my neck upwards towards its magnificence and abundance of light. “Let’s look at the waiting rooms,” he said, guiding me away from the stores, where patrons were chattering merrily. In the waiting room, people were milling around smoking cigars or hugging and kissing, their faces changed from determined desire to softness as though they had finally found what they were seeking. Semi-circular windows bathed travelers in sunbeams. World maps crowded the walls. Her first book, The Trapeze Diaries, based on her experiences of learning trapeze, was published by Hanging Loose Press. 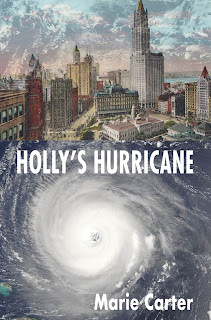 Her novel Holly's Hurricane will be published in November 2018. Marie has been a guest on NPR, and has been featured in The New York Times, Queens Gazette, Huffington Post, QNS, and many other media outlets. Her work has been published in Hanging Loose, The Brooklyn Rail, Spectacle, Turntablebluelight, and Yogacitynyc, among others and in the anthologies The Best Creative Nonfiction (W. W. Norton, 2007) and Voices of Multiple Sclerosis (LaChance, 2009). She has also been awarded and attended a residency at the MacDowell Colony. Marie currently teaches Memoir and Creative Writing at Gotham Writers' Workshop. Marie has provided editorial and layout and design services to Hanging Loose Press, one of the oldest independent publishers in the United States. 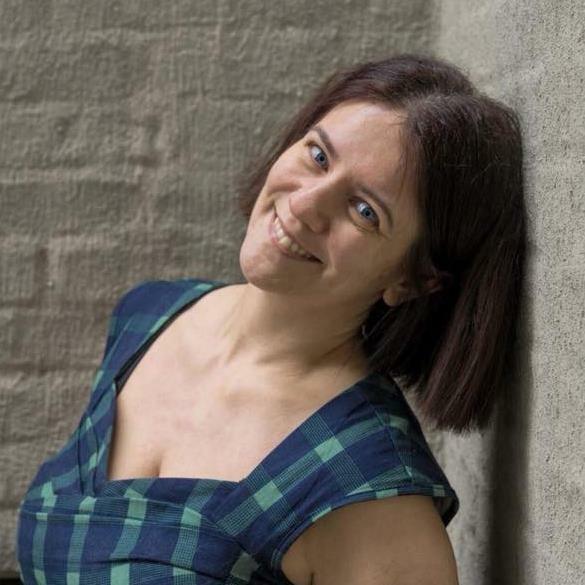 She is the editor of Word Jig: New Fiction from Scotland (Hanging Loose, 2003) and co-editor of Voices of the City (Hanging Loose Press, 2004).